We are Perth’s Premier Camper, Caravan and Motorhome dealer located in the heart of Osborne Park. We are the largest single franchise dealer north of the river offering the full range high quality Avan, Golf and Knaus Products. With a great range of campers, expanders, slide-outs, caravans, pop-tops and Motorhomes we are sure to have something to suit your needs. We also have a great spare parts and accessories store offering all you need to get on the road. 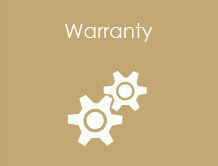 And why not book your van in for a service with our friendly and helpful service team. Our motto here is “Enjoy the Journey’’ and that means from purchasing and beyond. For a Premier RV Experience come in and meet the team at Premier Avan. 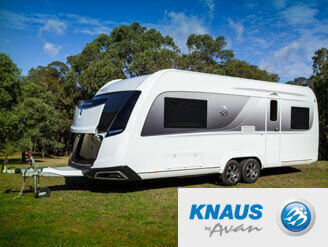 Using revolutionary construction techniques and sophisticated designs, Avan dedicates itself to improving the style, functionality and comfort of caravans and campers for Australian travelers. 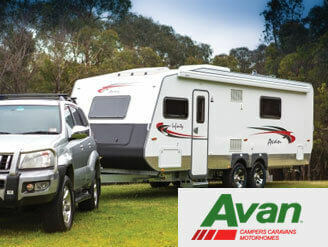 Australian owned and Australian made for over 20 years, Avan is a breath of fresh air to the Australian caravanning industry. 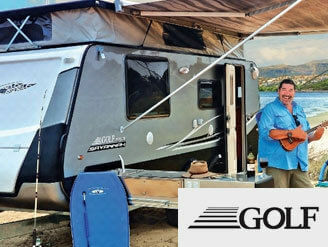 Golf Caravans & Campers have the reputation of being one of Australia's most sought after RV brands - built over fifty years. Golf never compromises quality or it's unwaverering objective to deliver a superior value for money product.